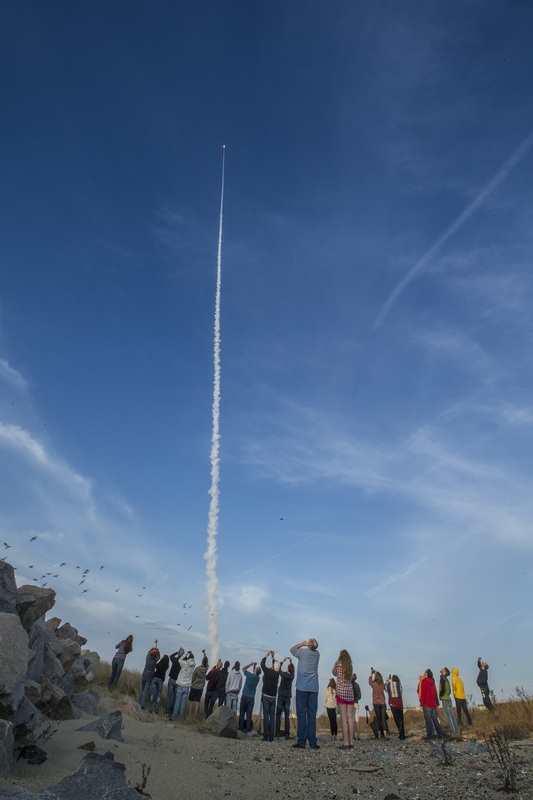 A NASA Terrier-Improved Malemute suborbital sounding rocket carrying the RockSat-X payload was successfully launched at 7:01 a.m., Saturday, April 18, from NASA’s Wallops Flight Facility in Virginia. Recovery of the payload with the six university experiments is in progress. The rocket carried experiments developed by undergraduate students from the Universities of Colorado, Northwest Nazarene, Puerto Rico; Nebraska and Virginia Tech. The next launch from Wallops is a NASA Terrier-Improved Orion in the early morning on June 25.